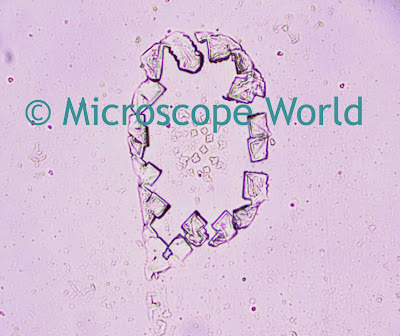 Bacillus is a rod-shaped bacterium. Bacilli are an extremely diverse group of bacteria that include both the causative agent of anthrax (Bacillus anthracis) as well as several species that synthesize important antibiotics. 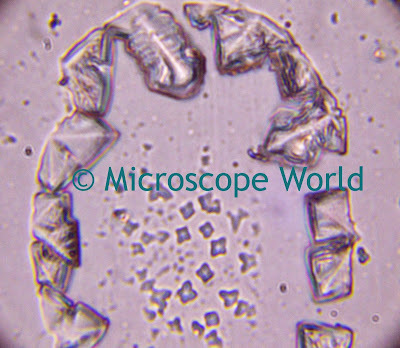 In addition to uses in the medical field, bacillus spores, due to their extreme tolerance to both heat and disinfectants, are used to test heat sterilization techniques and chemical disinfectants. Bacilli are also used in the detergent manufacturing industry because of their ability to synthesize important enzymes. 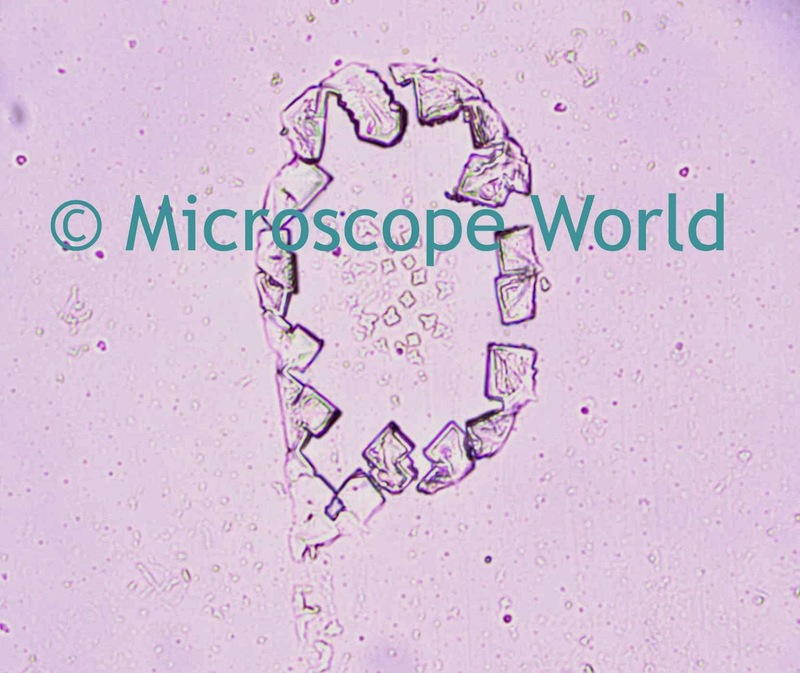 Bacillus captured at 100x magnification with U2 digital microscope. Bacilli are rod-shaped. Each bacterium only creates one spore, which is resistant to heat, cold, radiation, desiccation (extreme dryness), and disinfectants. Baccilli are capable of living in a wide range of habitats, including many extreme habitats such as the desert and the arctic. 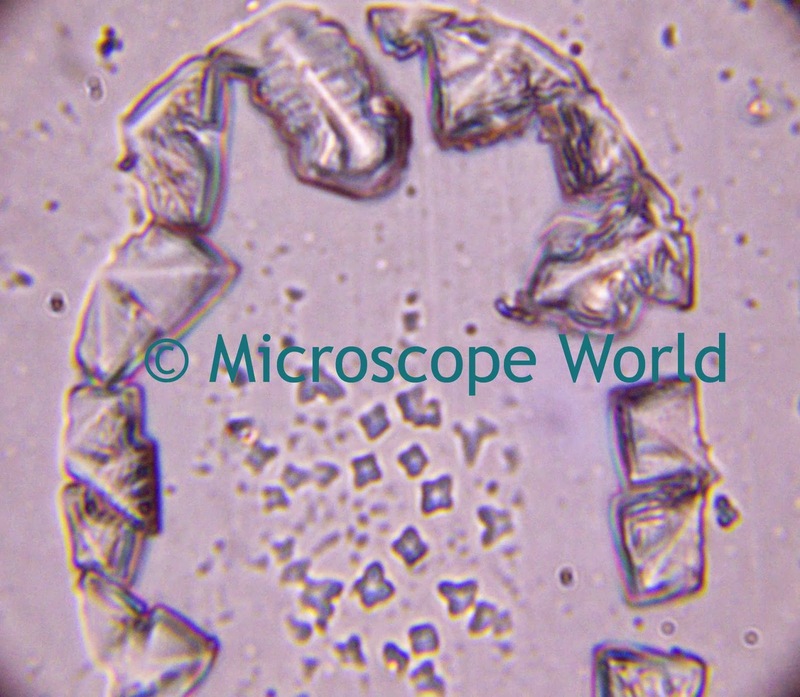 Bacillus captured at 400x magnification with 5mp CCD microscope camera. Bacilli can cause infections ranging from ear infections and meningitis to urinary tract infections. They mainly occur as secondary infections in immunodeficient or compromised hosts. The most well-known disease caused by bacilli is anthrax. Antrax dates back many years, as it is assumed that the fifth and sixth plagues recorded in the Bible were anthrax (the fifth attacking animals and the sixth attacking humans). Anthrax in recent time has been brought into the public eye by being used for bio-terrorism. There are three ways humans can contract anthrax: (1) Cutaneous anthrax occurs when contact with spores from dust particles or through an abrasion. (2) Gastrointestinal anthrax is contracted by ingesting contaminated meat. (3) Pulmonary anthrax results after inhaling spores that are transported to the lymph nodes where they multiply. 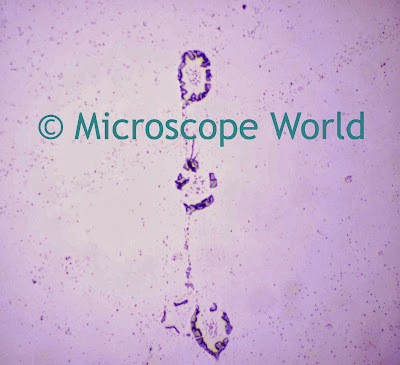 Bacillus captured at 1000x magnification without use of immersion oil. 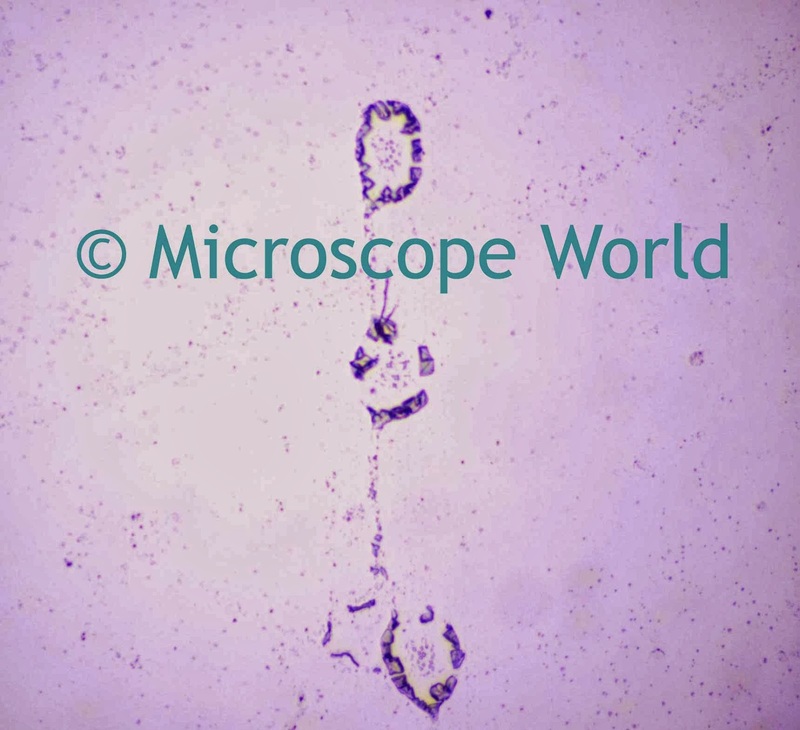 Microscope World's bacteriology slide kit contains a Bacillus prepared slide. It can be ordered online here.